Literally cannot concentrate on anything. 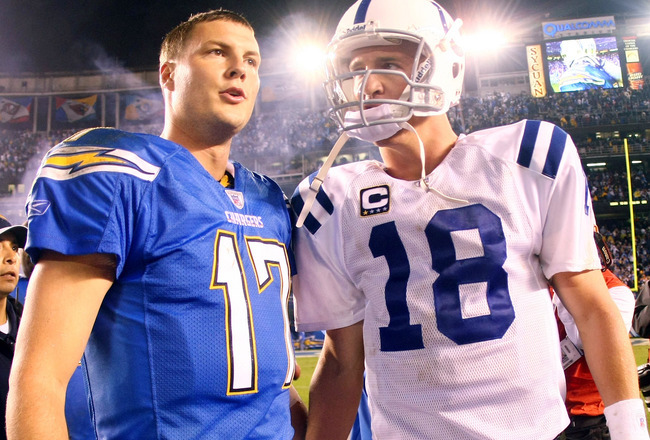 Rivers in (Freudian slip) and Manning… finally head to head in the AFC West. The journey down to the Murph begins soon, so this will be the last blog of the day. Go follow me on twitter and hit me up if you’re going to be tailgating. Cannot freaking wait. So pumped up. Really hoping that tomorrow is a happy day and we’ve got the dubya. Rivers can’t turn the ball over, Norv needs to take the training wheels off Mathews, Weddle needs to step up big and the Bolts have got to get pressure on Manning. Simple enough, right? Monday Night Football, baby. Bolt the freak up. This entry was posted in Football, NFL and tagged bolt the freak up, bolt up, broncos, broncos chargers mnf, Chargers, MNF. Bookmark the permalink.